A passion for luxury and beauty propels the multifaceted work of acclaimed international architect and interior designer Robert Couturier. 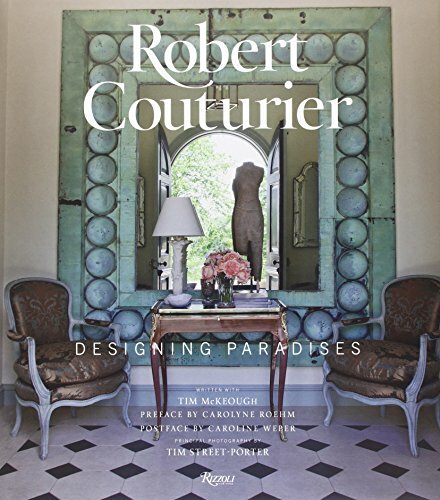 Robert Couturier’s aesthetic is a dialogue between Old World elegance and contemporary design. His masterful approach effortlessly brings eras together, for example a Louis XVI commode with a 1960s lamp. Couturier’s name has become synonymous with continental and international style, and he is known for composing adventurous rooms that have a witty flair. All his interiors extol the importance of how a home should stimulate the five senses, from the tactile feel of upholstery to the visual presentation of objects that leads a person through a space. The book opens with a tour of Couturier’s country retreat in bucolic Kent, Connecticut. Composed of neoclassical-style pavilions, early American guesthouses, and beautiful gardens, the house features imaginative rooms that are filled with his collections of European art, furniture, and decorative objects. A selection of the designer’s other projects—from smart contemporary apartments to romantic Mexican villas to a stately English manor—provides further inspiration.